Things have really become easier these days if we talk about writing search engine optimized content. Some five to ten years ago it was a lot harder as you had to think about what search engines liked. Now you just have to write the way you write to convey real and authentic information on something. Search engine algorithms have really made a lot of progress and improvement in these years. It has not only made search results far more relevant but has made it easier to write search engine optimized content as well. But why am I talking about this. Is writing for SEO not known to all? Perhaps not! I have heard many cases and sometimes I myself have went through it that the client is asking for a 300 words article and wants 10 keywords to be crammed into it. So you can easily guess how clued-up people are about SEO writing. This is why here in this article I am going to talk about how to write content for SEO or say the content that Google will love. Have you ever realized that when you explain something verbally, it seems more effective than when you do it by writing? Most of the times, yes! Right? 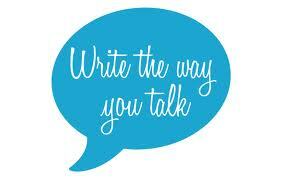 So why not write in a way you speak. That will help people getting their concept clear easily and it will be more effortless for you as well. You would not believe how frequently people use keywords in their everyday conversations and that’s what makes writing the way you put across things verbally so helpful. However, at the same time you must remember your write-up should not be exactly what you speak, it must be seasoned while you write but the basic idea behind is to maintain the flow and simplicity of the language. While you are writing content for SEO, try being natural and write about the subjects as you would do normally as this will help you use similar words and related phrases. Remember I told you we very frequently use keywords in our everyday conversations. Forget that you have 9 keywords to incorporate into the article that should contain 500 words. Instead just go ahead do a meticulous research and write as succinct as possible making sure that you are not skipping any information that matters to your readers. Interesting content with a good flow is likely to attract links and social interaction while dull and keyword stuffed content doesn’t. Not just that, the search engines might tell you that your content is packed with keywords and that they don’t deserve to be ranked anyway. How do you define on-page optimization? On-Page SEO simply refers to the text and content on your web site pages. Although, keyword stuffed content is neither liked by search engines nor the visitors, however at the same time it is a fact that on-page optimization matters. You can perform a faultless on-page optimization by using header tags (h1, h2, h3, etc.) or by including relevant out bound links. But make sure you don’t overdo it as chances of getting panelized by search engines even then are no lesser and all your efforts might get flushed away. Creating high quality content and doing proper on-page optimization is something you should be doing to have a content that Google will love. And some things that should never be practiced are keyword stuffing, links purchasing, use of automated tools and doorway pages. These were two most important things that fall within Google’s webmaster guidelines when it comes to optimizing content for search engines. Remember, users and search engine both expect relevant and high quality content that offers value and not the keywords crammed nonsense. Trust me if you are writing very good content, even if you don’t optimize it for search engines all the time, it will give you such good results that you would actually not believe. Together with a high quality content if you have done a proper on page optimization, your website is sure to rank high. So stay away from illegitimate practices of getting your website rank high, rather concentrate on content and on page optimization.